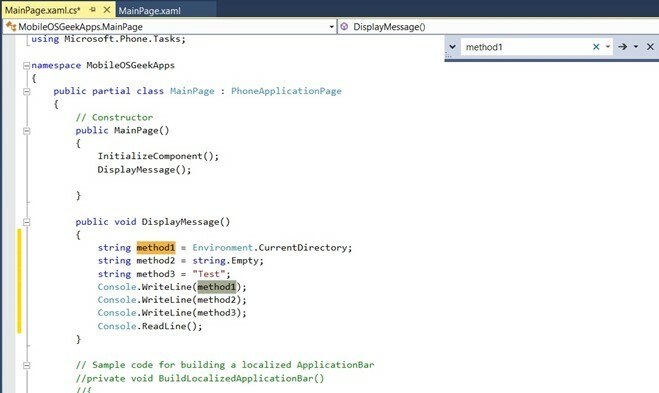 Incremental Search is one of the nice little feature that is available in Visual Studio 2013. This is available in previous versions of Visual Studio as well. How to Perform an Incremental Search in Visual Studio 2013? To perform an incremental search in Visual Studio 2013, follow the below steps. 2. Type the text that you need to search for. This will position the cursor to the first match of the string and highlight it. 3. To Search the next occurrence of the search string m press the shortcut key “Ctrl + I” again.